Ivy has stopped talking to me completely. She just sits on the couch with soccer and plays with her ring. I wonder if she ever thinks about calling of the engagement. I am pretty sure she has considered it. I was going to the one person who I knew would get through to Ivy. I knocked on the door. Renee opened the door. "Daveed? What are yo doing here?" "I really need to talk to you." "Come inside." She said I came in said and looked around. Renee&apos;s house was warm and cozy. "I messed up. I messed up really bad." "YOU DID WHAT!?! I SHOULD KILL YOU! WITH WHO?! DAVEED I PROMISE YOU I WILL HURT YOU!!" She said punching me in my arm. "Ssshhhhhh. Renee the whole neighbor can hear you." "I don&apos;t care. Who is she? Who is the girl?" "If you where not the father of my niece and nephew I promise you I was going to kill you." "I know. I would kill me too. Ivy hasn&apos;t talk to me in almost 2 weeks and I don&apos;t know what to do." I said with my eyes full of tears. "I messed up OK. I know I messed up but I just want to make it right before it is too late. What if she calls of the engagement." 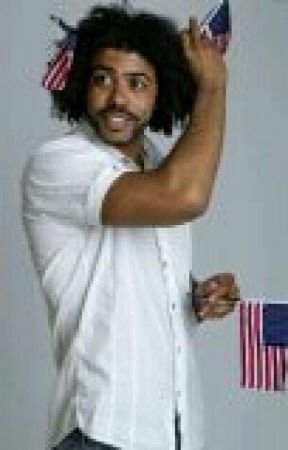 "Daveed calm down. I have a plan."